There are powerful simulation techniques known to generate possible future price patterns like Monte Carlo Simulation, Brownian motion simulation, etc. To do so, we need to understand the price behaviour including distribution and its randomness. 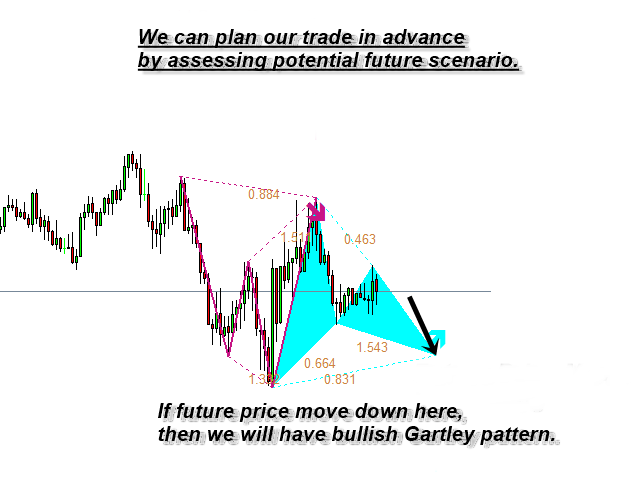 Then we repeat the simulation as many times as possible to identify various future price path. 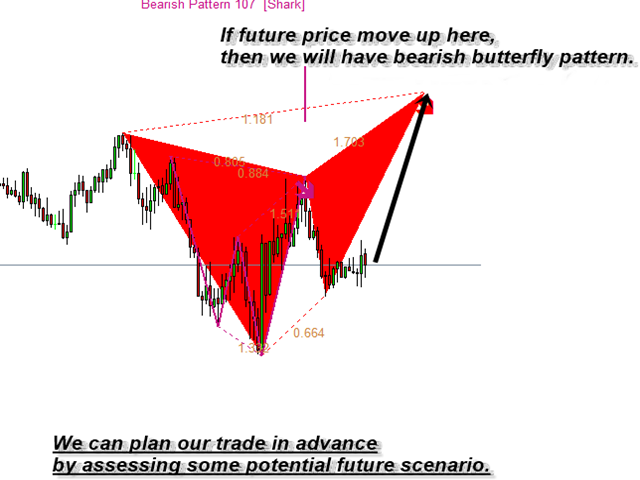 Some future price path may be very important for your trading whereas some other price path may be insignificant. 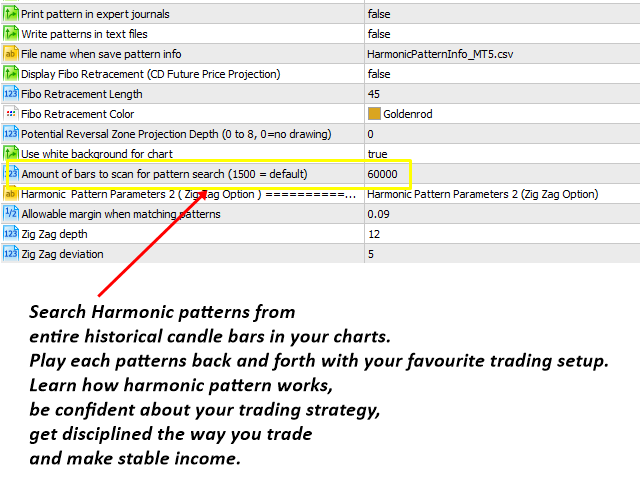 Harmonic Pattern Scenario Planner collects those significant price paths only for your advance trading decision. You will get the advantage of early warning. 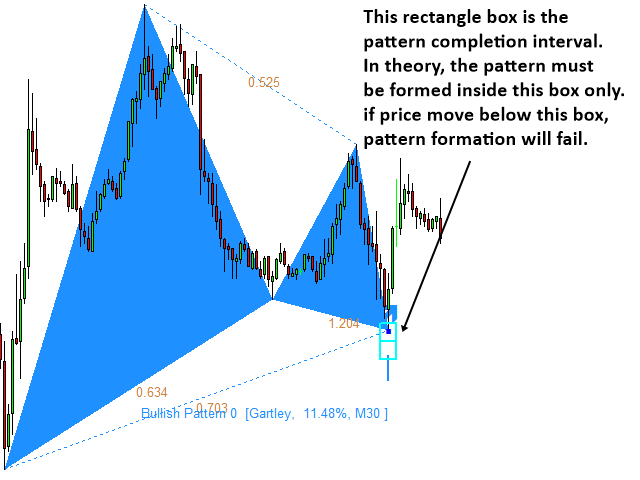 These parameters below concerns operations of Harmonic patterns. 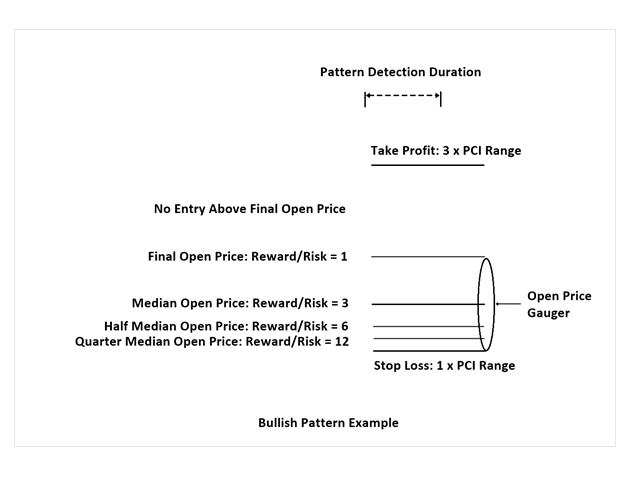 You can change timeframe of pattern detection. 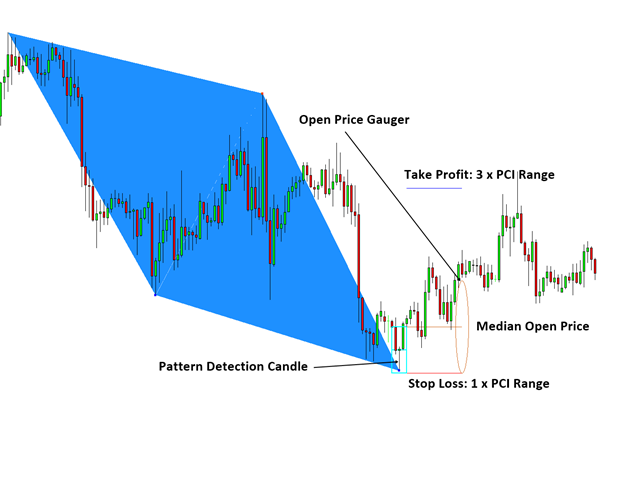 However, you cannot use smaller timeframe pattern detection for higher timeframe. 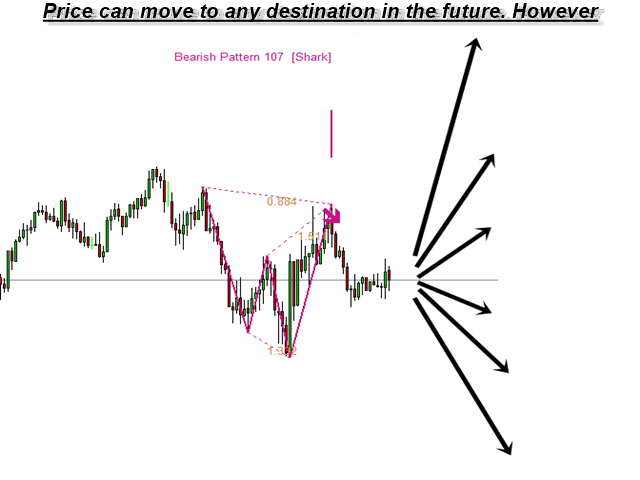 For example, you cannot set Timeframe to detect patterns = H1 timeframe while you are using D1 chart. I was searching for a harmonic patten program. I ve looked into couple of different ones before I made my decision.I was looking for a reliable program which also use real time data. Then I found Young Ho Seo 's program, read his comments, watched some of his youtube videos and of course looked into his linkdın profile :) I was pretty amazed with his background and his achievements. Moreover when I realised that professionals are using his programs as well I decided to buy it. He helped me to during the installation and answered all my questions about the program. He was very helpful.I still have some question and I am sure that he will answer them in detail. I am running this program right now and so far I am really happy to see the future scenarios that may evolve. I hope that it this program will create an edge for me and I will make better buy and sell decision in future markets as I trade futures. This improved version of Smart Renko 6.0 is included in the new update for Harmonic Pattern Scenario Planner. Number of detected patterns can be different according to your brick height for Smart Renko and now you can even find that pattern specially formed around psychological number (round number) if this is one of your preferred strategy. In version 7.9, small issue with not working scenario mode was fixed. In version 7.7, Harmonic Pattern Scenario Planner can detect pattern using Renko Brick calulation. 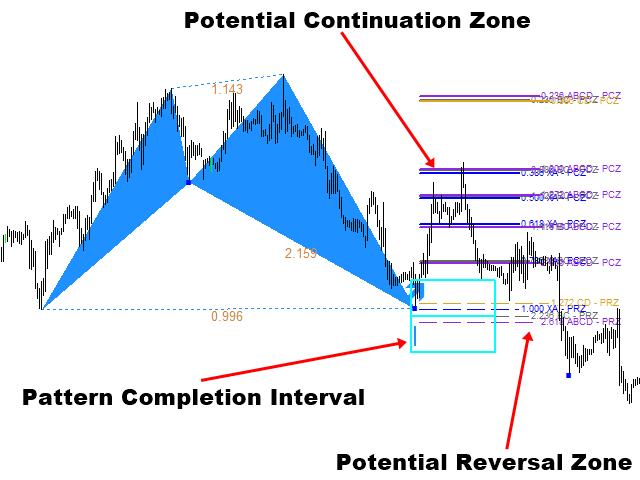 This is equivalent to detect pattern over the dedicated Renko Chart (Imagine that you have opened Renko Chart and then put this indicator over the Renko Chart). So it is very powerful due to less noise in the Renko Chart. The good news is that you don't need a dedicated Renko Chart as this indicators does renko brick calculation at the background using Smart Renko Indicator. So you are hassle free but this indicators will does a lot of work for you. In version 5.5, Linear Regression Feature is added to Harmonic Pattern Plus. This Linear Regression feature is identical to the one in Harmonic Pattern Plus. 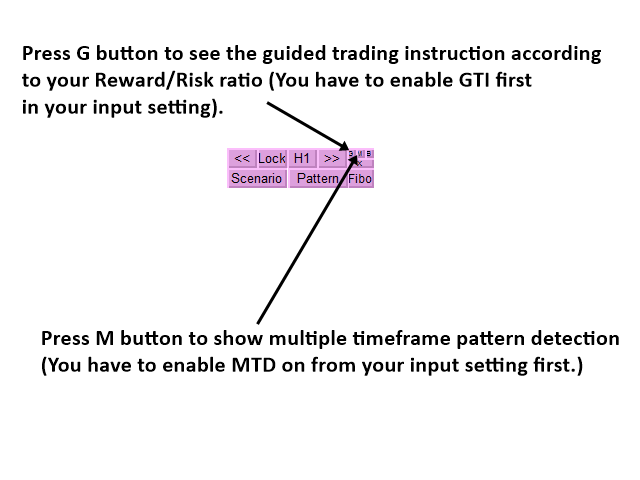 In version 5.1, trader can disable direction arrow. Just set Direction Arrow Width =0 to disable the arrow from your chart. In version 3.8, user can select any pattern to lock on his chart. Of course, user can unlock and delete the locked pattern. 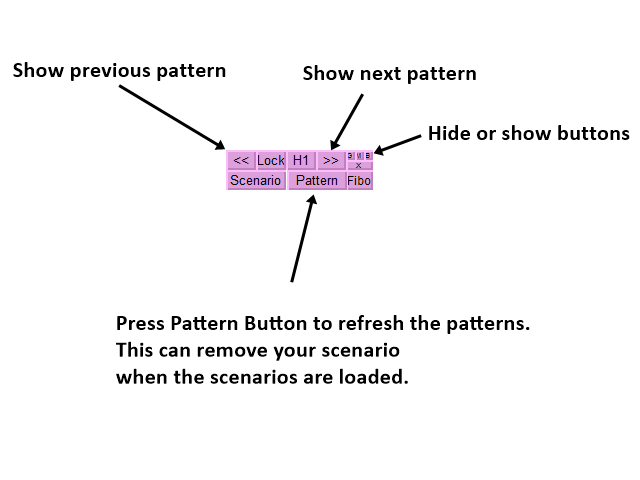 This locking and unlocking pattern is done by pressing "Pattern" button on the chart. 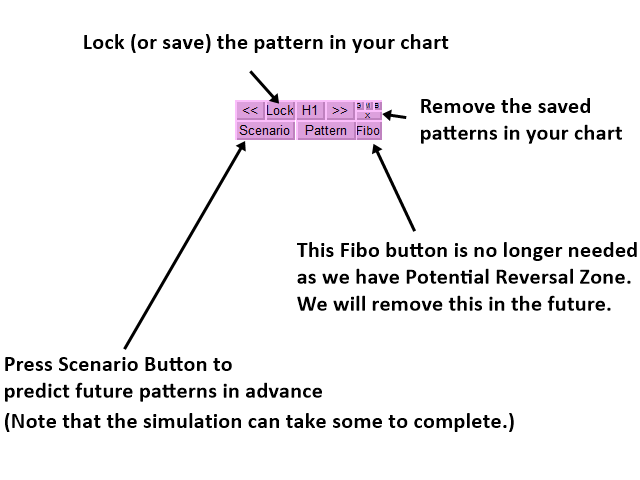 In version 3.5, you can choose to filter out bad scenarios and you can see only the best senario (the pattern close to the ideal one) of the Pattern type (set Use Best Scenario Only = true). You can still choose to see all the scenario patterns found by Scenario Planner, too (use Best Scenario Only = false). In version 3.2, pattern matching error (%) is added to account for how close the detected patterns are to reference patterns in text book. 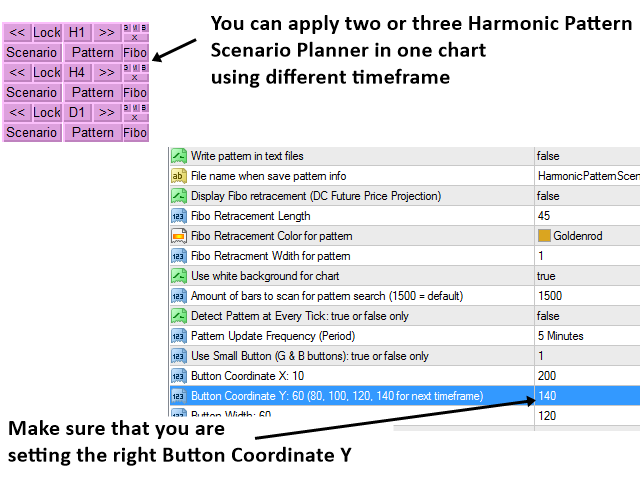 In version 3.1, now you can run Harmonic Pattern Scenario Planner in Harmonic Pattern Plus Mode. Both Scenario Button and Pattern Button is added to do so. In version 3.0, now you can select different symbols using buttons on charts. Users now need to open fewer charts and their trading operation become quicker.